Once it starts to get cooler, I tend to use my slow cooker a lot to make soups and stews. I recently purchased London Broil cut of beef and was inspired by my favorite hometown sandwich, the Philly Cheesesteak. While London Broil is definitely not the kind of beef used for Philly Steaks, the end result tasted very similar. We bought hoagie rolls (not as good as those in Philadelphia…but they did the job), added the beef and cheese… It was a big hit. 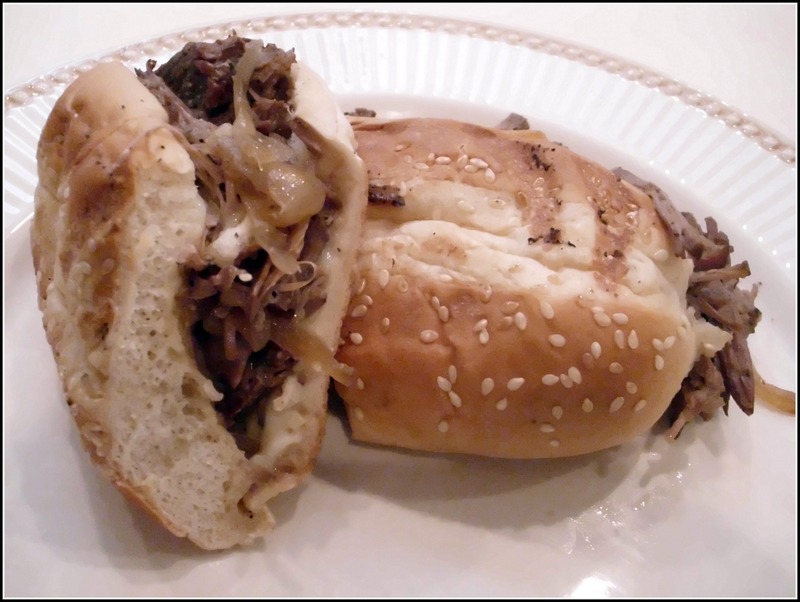 There are different toppings for Philly Cheesesteak Sandwiches. Half the family goes for ketchup and the other half prefers marinara sauce. P.S. Dedicated to all my special “Philadelphia Peeps” …. 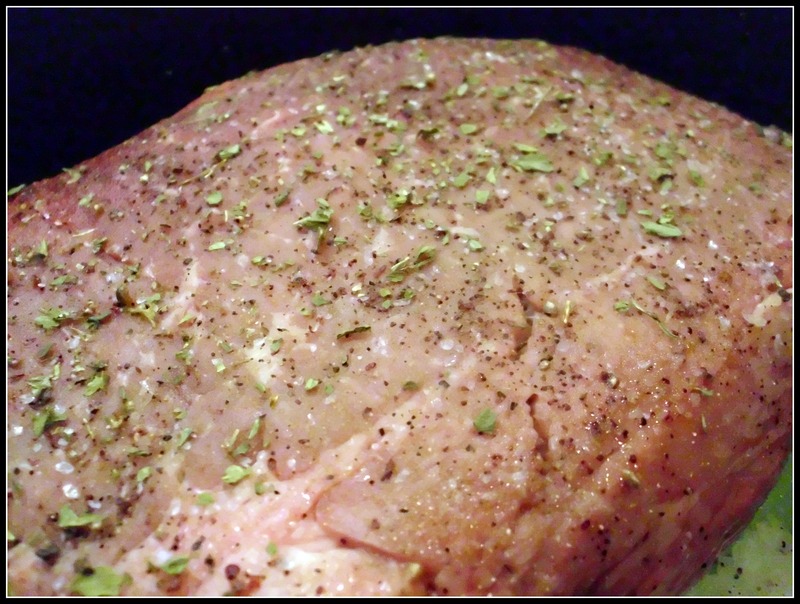 Spray your slow cooker with cooking spray. Line the bottom with your celery. 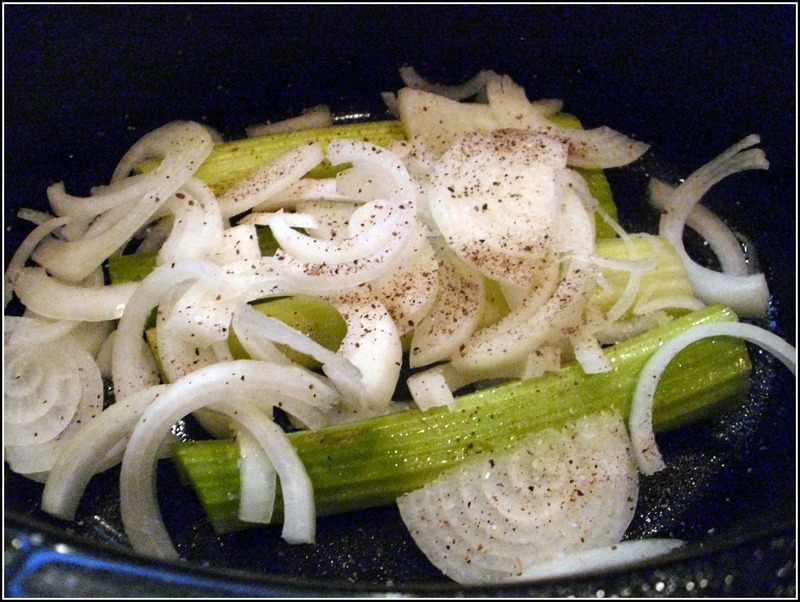 Cover the celery with half of your sliced onions. Season with salt and pepper to taste. 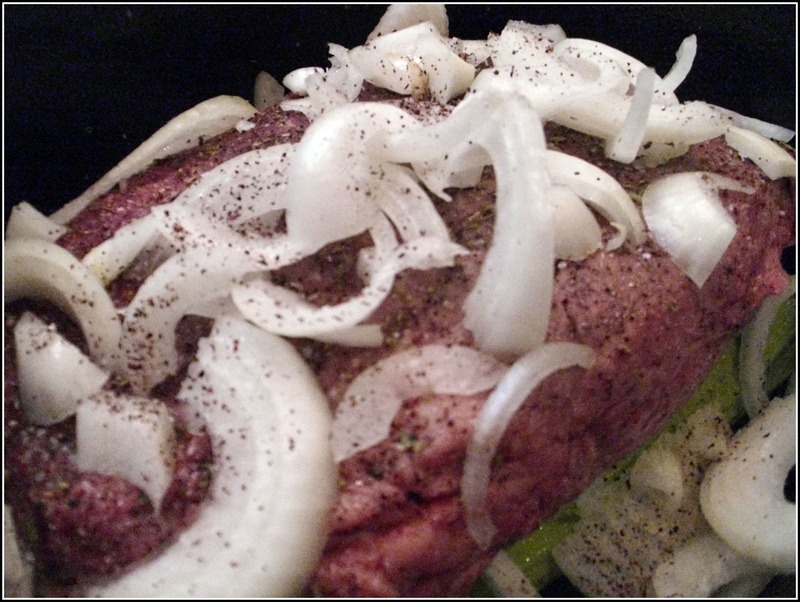 Season the London Broil with salt, pepper, garlic powder and oregano. Place in slow cooker. 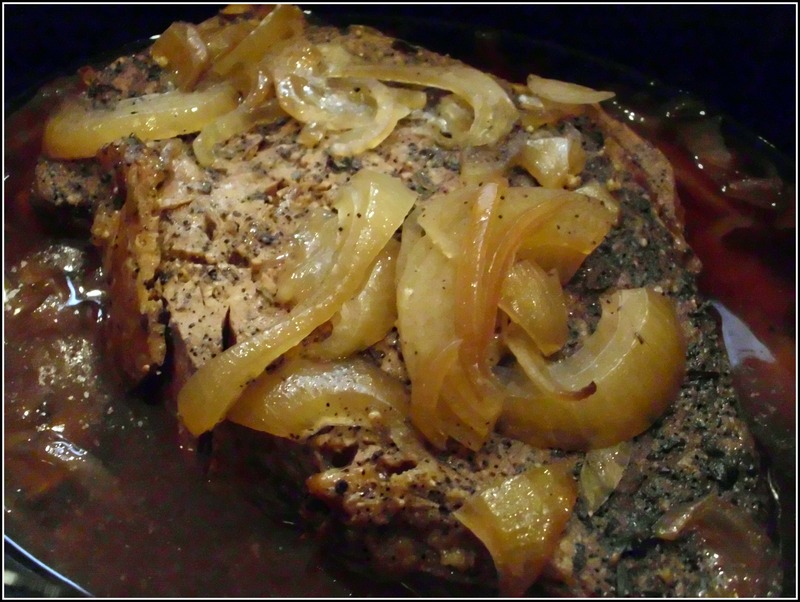 Top with remaining sliced onions. Season with salt and pepper. 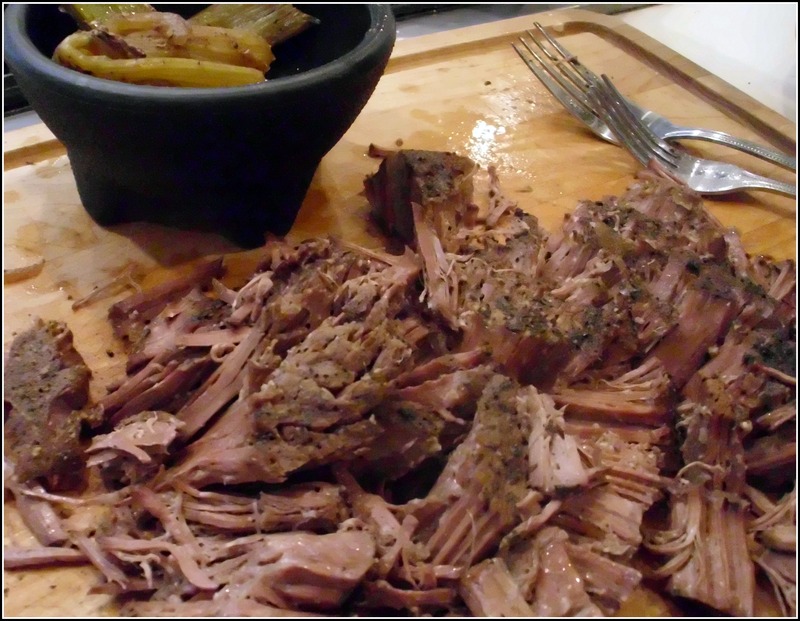 Pour red wine into slow cooker (along the side so it goes straight to the bottom of the slow cooker). Remove meat and trim fat. 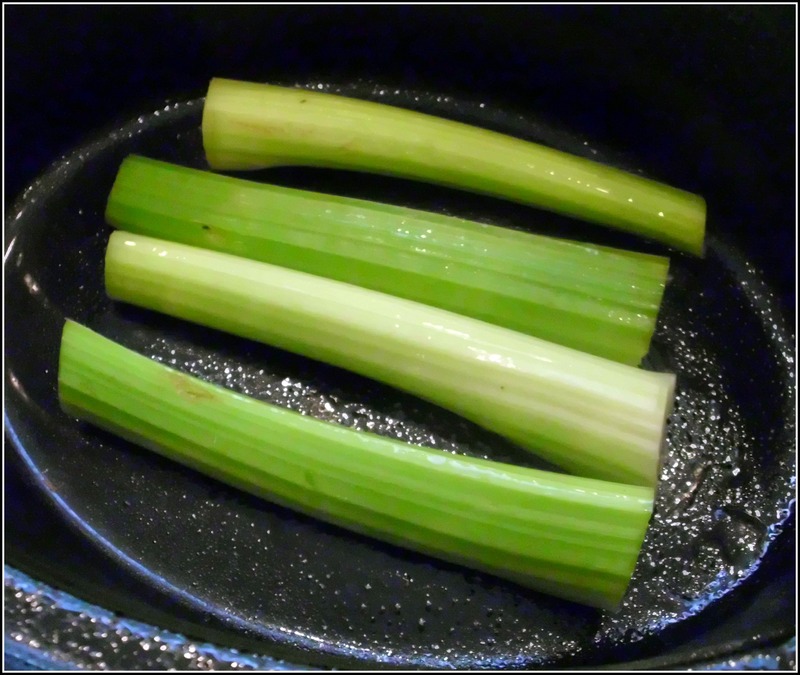 Discard celery. 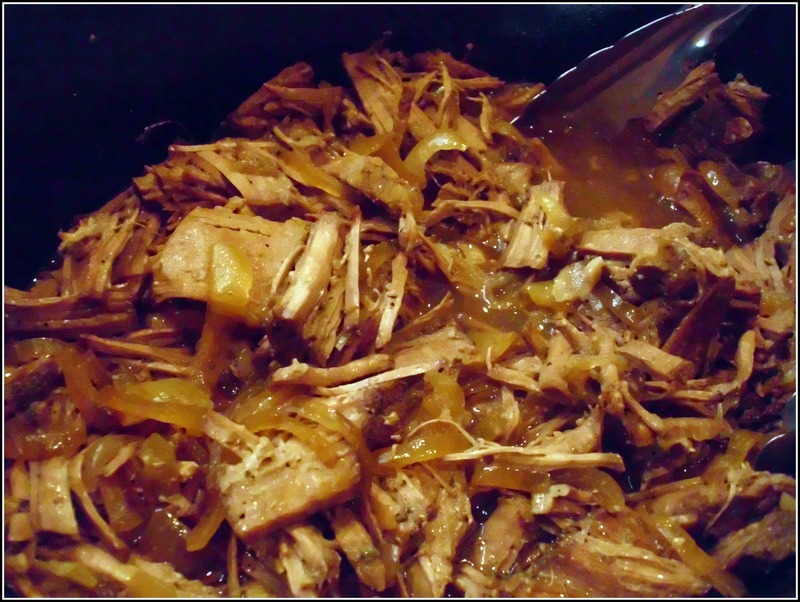 Shred meat with 2 forks. Add meat back to the slow cooker. Stir to coat with meat juices. Keep warm until ready to serve. Add cheese of choice (American or Provolone recommended). Grill or microwave to melt the cheese. Just 1/3 of a cup of wine? Am I missing something? Won’t it dry out? Thanks! The slow cooking process I’ll add more liquid as it cooks. You can definitely add more if you want to. I would add more than 2/3 cup though. Enjoy!